Greenfield Village has an antique vehicle garage that services all the Model Ts and other vehicles on site. 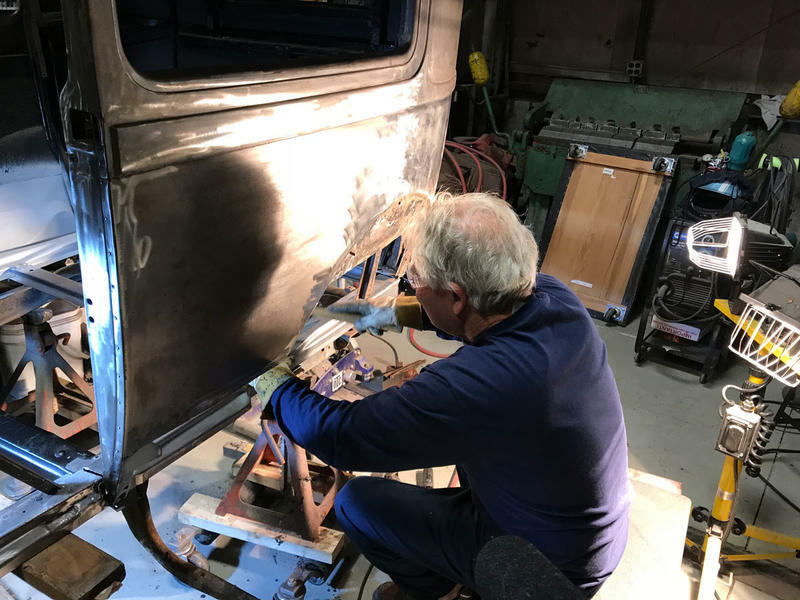 Barry Jecewski repairs a Model T in the antique vehicle garage at Greenfield Village. 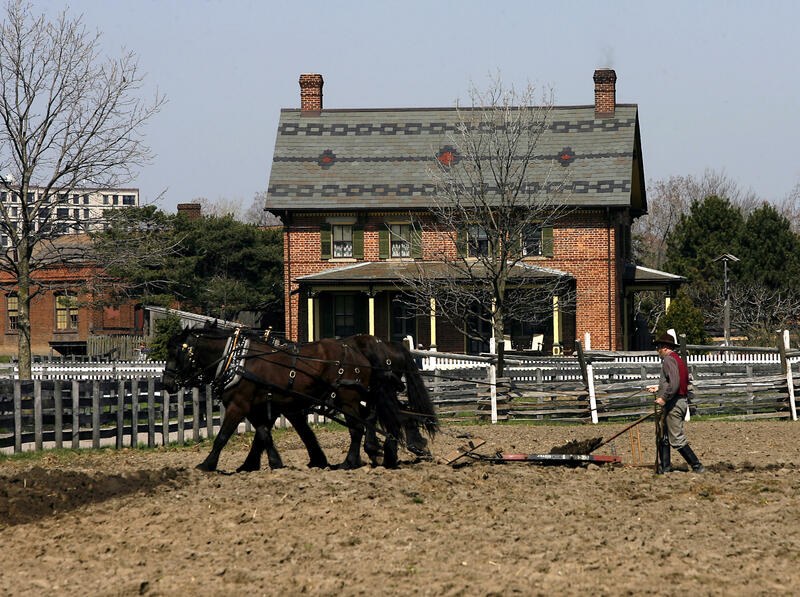 Harvey Firestone's childhood farm was moved from Columbiana, Ohio to Greenfield Village. Firestone would go on to found the famous tire company that bears his name. 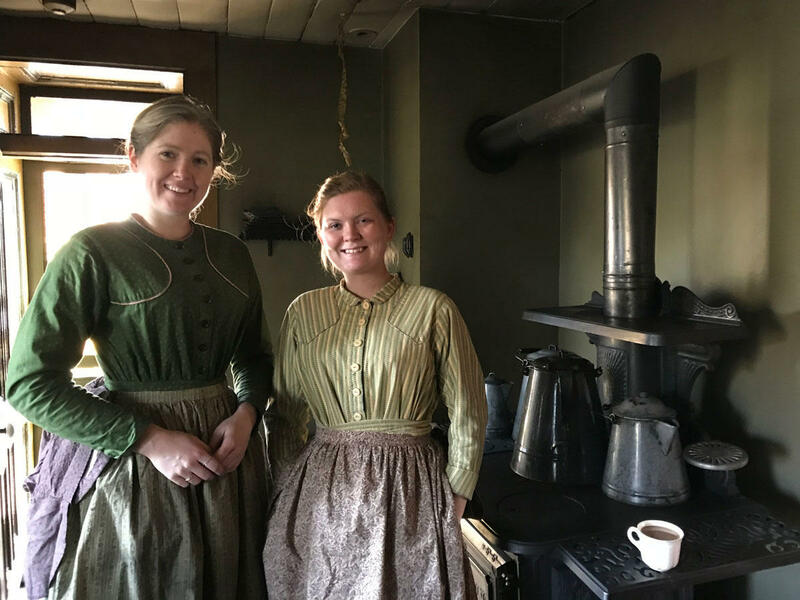 Blakelee Clay-McBee (l) and Jessica Anspaugh in front of the coal-burning stove that they clean every Thursday at Firestone Farm, which depicts life in the 1880s. 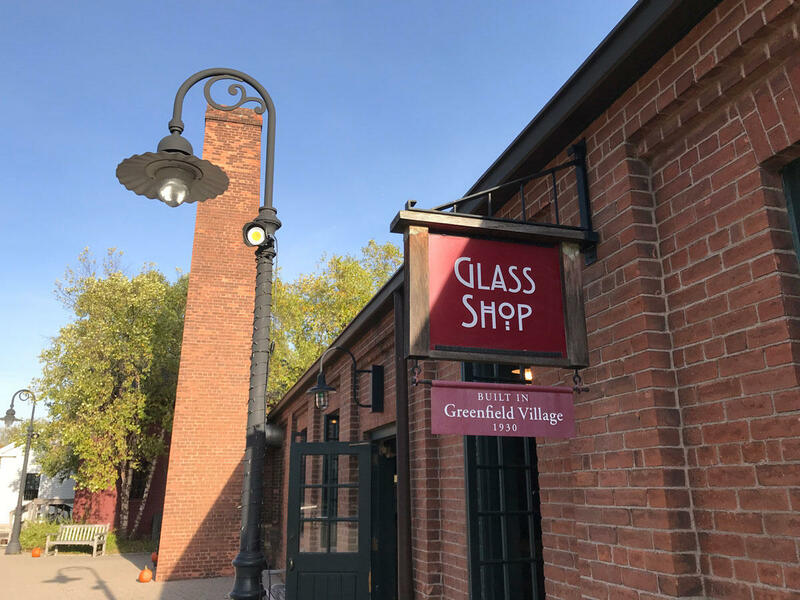 The glass shop at Greenfield Village. 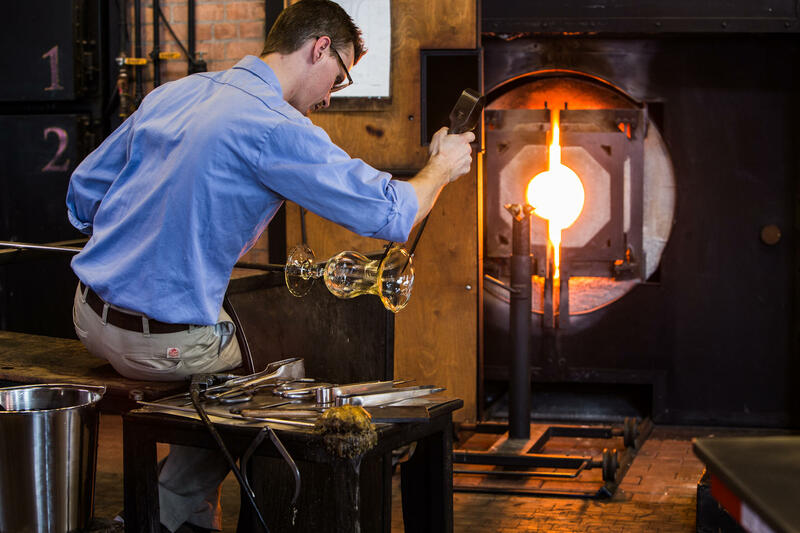 Artist-in-residence Joshua Wojick creates hand-blown glass Christmas ornaments and sculptures. 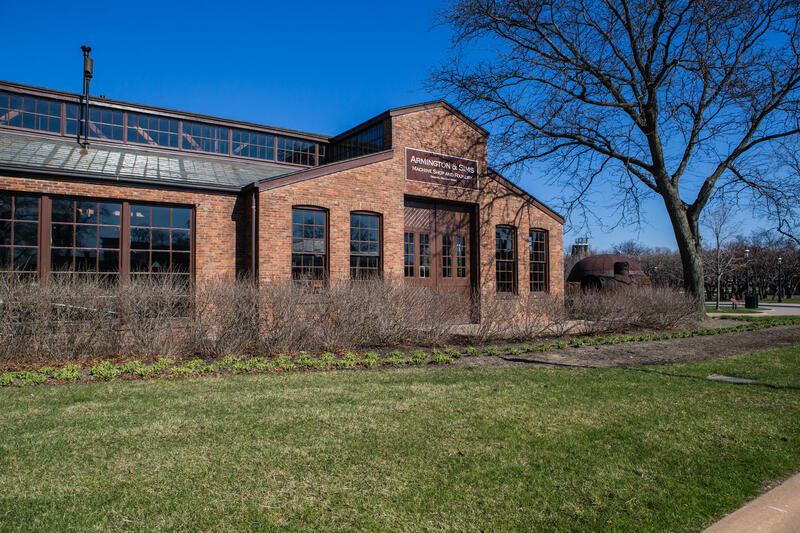 The Armington and Sims Machine Shop at Greenfield Village. New and old technology converge as presenter Michael Humenik counts down to 9:30 a.m. to sound the steam whistle that signals the opening of Greenfield Village. What do your mornings sound like? Which sounds shape the start your day? Our new series, Mornings In Michigan features the sounds of morning rituals from people and places across our state. To open our series, we visited a beloved Michigan institution. Greenfield Village at the Henry Ford is made up of 83 historic buildings brought to the museum in Dearborn and restored to reflect 300 years of American history. 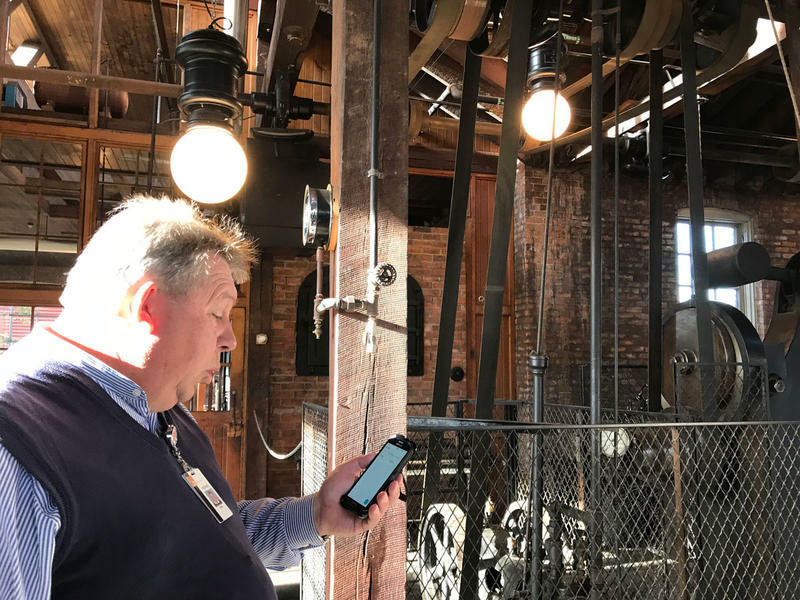 To show us what mornings are like for the people who make Greenfield Village come alive, general manager Ryan Spencer gave us a tour before the gates opened. 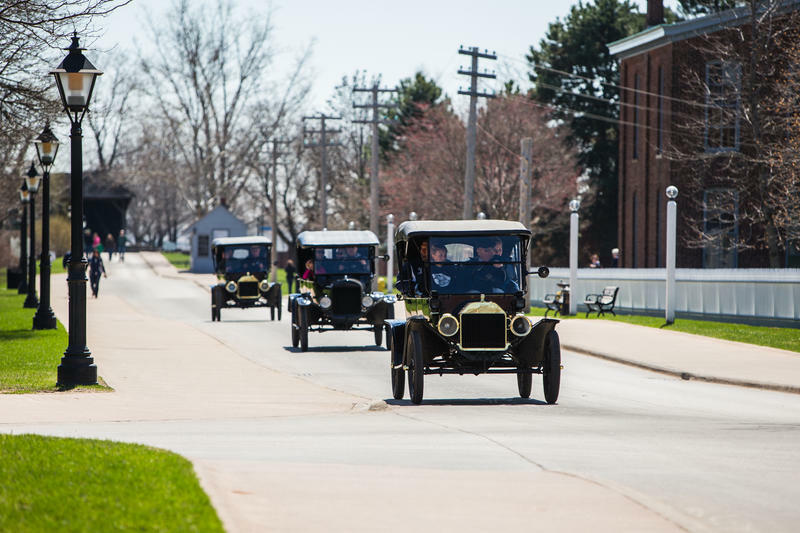 We began at the childhood home of Harvey Firestone, who later founded the famous tire company. The farm depicts life in the 1880s. On the way to the kitchen, Spencer walked us through the Firestone family’s barn. We also visited the village's antique vehicle garage, glass shop, and Armington and Sims Machine Shop. Click on the play button above to hear our visit. Our story was produced by Lauren Talley with help from April Van Buren. Now, we want to hear from you! Share the sights and sounds of your Michigan mornings. Find out how at michiganradio.org/mornings.